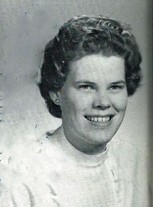 Sadly we have learned that classmate Jane Anderson died on July 6th of congestive heart failure. Jane and her family lived in Zephyrhills, Florida. She is survied by her sister and fellow classmate Judy Anderson as well as Frederick Custer, Ribin Ricco, and Robert Custer.